My Relatives reminder Fall pipe ceremony Oct. 20th 2018, we would like to thank those that have committed to helping on a monthly bases and also remind others to help support the Sundance. This month there is a special request if anyone can help support Danny and Laurene come to the Many Winters Gathering of Elders they have informed me they will not be able help with traveling funds. If you can please donate for there travel expenses as they many Elders will be gathering to share. We talked about some of us possibly committing to a monthly donation like a $10, $20, $30 dollar a month donation. There was much said but for now if you can send any donations through ZELLE for now use danny@littlebigmedicine.org email to donate. This year at Little Big Medicine Sundance we were able to meet and talk about several things that needed to be taken care of and about how we were going to do things from this day forwards. Chief Danny John and his family worked for months on fixing the arbor and having things ready for everyone to come to the Sundance to have a strong prayer and we all agree that is all our responsibility and we would make an effort to do more work before the next Sundance. One of the other things we spoke about is to support Danny and Laurene monetarily that it is getting harder and harder to survive these days without money especially when you live on the Rez (sad but true). The traditional way of life is under attack, sheep and horses are being confiscated, fences are have been torn down that use to keep the sheep and and other stock safe and manageable this makes it hard to trade and live the traditional way . We talked about some of us possibly committing to a monthly donation like a $10, $20, $30 dollar a month donation. There was much said but for now if you can send any donations please do if you use ZELLE for now use danny@littlebigmedicine.org email to donate. There will be a celebration of life for Ronaldo Arvizu Saturday, September 15 at 10:00 am at Amity Circle Tree Ranch 10500 E Tanque Verde Rd, Tucson, AZ 85749. The celebration will be at the retreat house area on the grounds. There will be a potluck meal afterwards so please bring something to share. We hope you will be able to attend and celebrate the life of this amazing man who touched the lives of so many people. We look forward to sharing our love for Ron with his family, he will be missed but we know he will be with us always with all our relations. 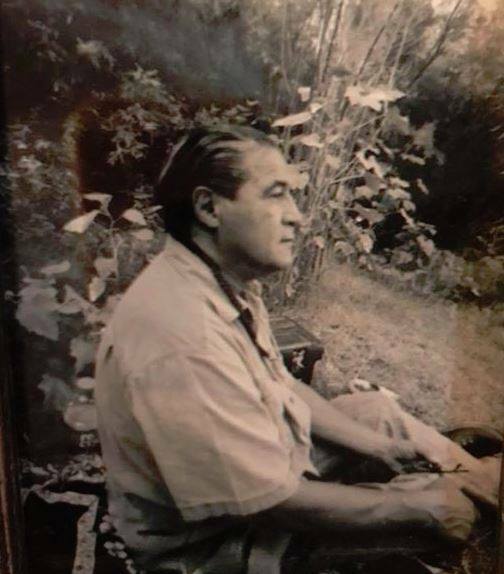 Family and friends near and far there will be a sweatlodge held for my Dad this Friday, September 14th @ 6:30 pm if you would like to participate. Followed by a memorial service/celebration of life on Saturday, September 15th commencing at 10am. Both will be held at Amity Circle Tree Ranch located at 10,500 E Tanque Verde at the Retreat Center. We look forward to seeing and meeting you all. KUNKUR in every continental ceremony, since the year 2000.
the staff of the condor to Tawantinsuyu. canoe town originating from the southern coasts of the large island of Tierra del Fuego. He generously offers his knowledge of the area’s forest. they look for the sun, and for the renoval to grow there must be a great one protecting it. several hills and following the course of the river that leads to the Cascada de los amigos. children and also the young chasky of the Kaweskar family of Punta Arenas Chile. southern lands; present on its shores and carried by the Yagan people in their canoes. carrier of the vision of the eagle. It was like a lightning bolt that trotted by. spirit, in the name of Tawantinsuyu, with the guidance of the guardians of this region. This is a list of Items Need for the Kitchen. We want to make sure we are feeding the Drum groups and the elders. we’ve had a pretty good size donation of coffee donation from Jose Cortez but some of the elders have said it was pretty strong so that’s why i’m asking for something that they normally drink and make a guess and say Folgers medium roast! We also had a good size donation from Sandra Parker and so we are good on tea!